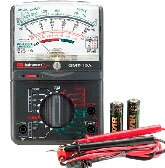 The resistance of every electric component is a factor that determines the electric current inside that component. Since electric current affects the functionality and electricity consumption of each component, it is important to know how different factors such as heat may affect the resistance. For example a light bulb may prove to consume more electricity and produce more light when it is hot. It may also be opposite. The purpose of this project is to determine how the heat affects the resistance. If there is any effect, we may continue our research with the ways that we can benefit from or control such effects.